The past election year has seen extreme polarization of voters, pundits, and the media. 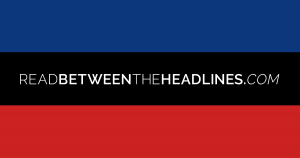 Outraged by the division and rising bias of the media, Alyssa Georg and Elena Knox – two members of our creative team, created readbetweentheheadlines.com, a site that cuts through the extreme left and right headlines to deliver an unbiased account of the news. On February 2nd, the leader of the free world held a news conference where among other things, he asked a black journalist if she was friends with the CBC. Outraged, Alyssa Georg and Elena Knox couldn’t help asking themselves: How can the nation be so divided on issues that seemed so black and white? The answer was on Fox News. And that’s when it clicked. Within a matter of minutes, the duo bought the url readbetweentheheadlines.com and got to work. “We felt like we needed to a shine a light on the reality that part of the reason people are divided is because they are getting news that is completely biased,” says Georg. On Read Between the Headlines, users are served up the same piece of news but delivered by Fox News and CNN. Sometimes the contrasts are huge, sometimes it’s just a few words that differentiate them, but they’re always written in favor of their audience’s party. In the middle is the actual news – the simple facts of what both articles are communicating with out the bias language. The creatives did the piece in the hopes that it would make people realize that we are being fed our bias and therefor maybe create some understanding with the members of the opposing party. “Every day we are continually shocked by how different the headlines are even though they’re reporting the same thing,” says Knox. And while they may be liberals, they affirm both parties are at fault. Would there be less division, anger and misunderstandings if we we’re all just getting the facts? Perhaps. And a simple generator isn’t going to change the world, but the women hope it will at least open a few eyes.